The hybrid Cloud has emerged as the dominant Cloud deployment pattern over the last few years. While there is great interest in adopting public Cloud services from providers such as Amazon, Google, and Microsoft, mature enterprises inevitably have heavy investments in existing data centers and IT infrastructure that they still want to leverage and optimize. 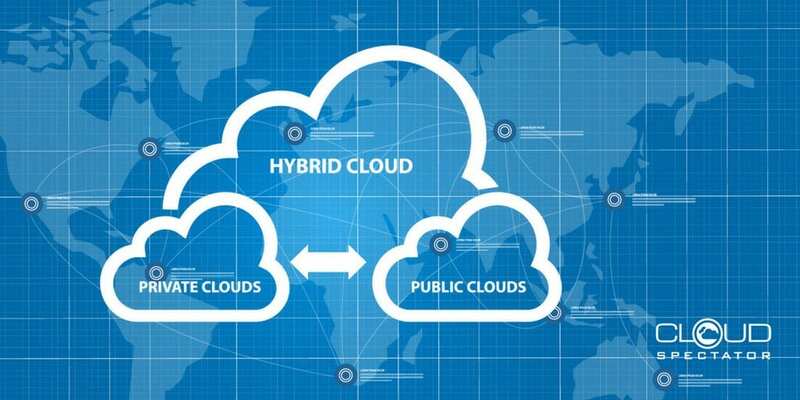 Thus, a hybrid Cloud strategy is one that allows organizations to maintain their currently-owned IT infrastructure while exploring public Cloud services for new development and innovation initiatives. However, a hybrid Cloud deployment often presents many challenges to an organization intent on pursuing this approach. Some of these challenges are technology-related. Some are organizational challenges. Many are cultural and behavioral challenges. Once an organization decides to move to a hybrid Cloud IT operating model, it is imperative that a hybrid Cloud strategy be established. And, in order for the hybrid Cloud strategy to be successful, it must be in line with the IT department’s goals and mandates, and with those of the entire organization. Before we present the “Hybrid Cloud Bill of Rights”, let’s examine the landscape of hybrid Clouds and the myriad of challenges that face an organization pursuing a hybrid Cloud strategy. A hybrid Cloud is one that integrates private Cloud services (your internal compute resources that must be Cloud-enabled) and public Cloud services (e.g. 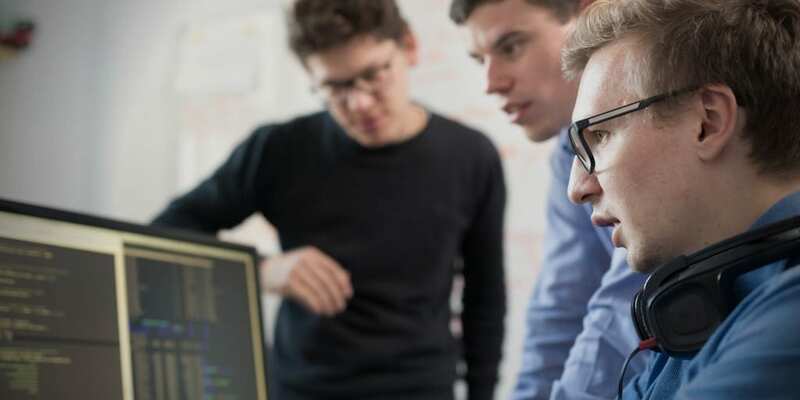 from Amazon, Google, Microsoft, and others) into a common catalog, and enables access to those services through a common Cloud provisioning platform. An effective hybrid Cloud enables an end-user or developer to seamlessly access private Cloud services or public Cloud resources, and consume resources to support a particular Cloud use case or requirement. However, as we will explore below, the technology of Cloud computing is much easier than the culture, organization, and human factors of a hybrid Cloud. There are a number of challenges with establishing a viable hybrid Cloud deployment within a large enterprise. This is not an exhaustive list, but it does serve to highlight a range of expected challenges that should be addressed. The sequence matters in a hybrid Cloud, and determining what Cloud services to offer first can be a challenge. Typically, many business users are already using public Cloud services under credit card arrangements. This IT and/or procurement “end-around” occurs most often because IT has been slow to adopt Cloud technologies. Not long ago, when Cloud service brokers were first conceived, the recommended approach was to use API abstraction. However, the API abstraction approach was not widely adopted, so the native provider APIs have been the preferred approach. That said, there are advantages to abstracted APIs. Often during the planning phase of Cloud computing, an organization has to grapple internally with the forces of inertia. Getting impartial 3rd-party cost and performance benchmarks will help you craft a data-driven Cloud strategy that is based on facts and true costs, rather than biased opinions. A common challenge facing hybrid Cloud adopters is ensuring portability and interoperability of workloads across both private and public Cloud services, and between different public Cloud providers. Be sure your hybrid Cloud can support all relevant use cases where workload portability and interoperability are needed. Develop a Cloud selection decision model for selecting private vs public cloud resources; e.g. regulatory or security needs, data security and privacy, workload performance, as well as specific Cloud services and configurations to support your needs. Furthermore, you should have Cloud architect resources available to engage with business partners and facilitate Cloud solution architecture activities. When an organization implements a hybrid Cloud, they are suddenly thrust into the role of a Cloud service provider. Private Cloud services must have robust SLAs. Your internal IT processes and services will inevitably be brutally contrasted with Amazon, Google, and Microsoft, and you must be able to perform within reasonable tolerances for price, performance and reliability. Beware of “Cloud Washing.” Many organizations are implementing private Cloud capabilities that are really merely virtualization with “lipstick.” If you are going to implement a hybrid Cloud, go for real rather than Cloud washing your virtualization infrastructure. Determine what Cloud computing means for your organization, and why a hybrid Cloud is the right approach. A hybrid Cloud comes with some complexities, but it is the current best practice. Know what you’re getting into and why. Define your hybrid Cloud goals and objectives in a formal Cloud strategy and roadmap document. This should be a formal strategy that captures your intent for how a hybrid Cloud strategy will bring value to the organization. Aligning the hybrid Cloud goals and objectives with Business goals and objectives will lead to an explicitly business-centric approach to Cloud computing. Evaluate your organization, resources and skills, and the overall culture in the context of your hybrid Cloud strategy. Close skills gaps, and consider realigning the organization to optimally adopt and harness Cloud computing into the application planning, delivery and production support processes. Design and implement a Cloud PMO to lead the execution and sustainment of your hybrid Cloud initiative. Develop and publish a hybrid Cloud vision, mission statement, and guiding principles that will shape behavior, inform decision making, and help create a hybrid Cloud culture. The technology of a hybrid Cloud is critical, but equally important for success is the behavior patterns associated with the consumption and usage of Cloud services at enterprise scale. Develop a hybrid Cloud Service Adoption Roadmap and Sequence Plan. This plan will map out what Cloud services, and from what providers, will be deployed and made available to whom by when. In other words, this is the roadmap for the realization of your hybrid Cloud framework. Develop a hybrid Cloud Reference Architecture that guides the various technologies and tools, and how they interact to enable and manage your Cloud environment. As discussed above, beyond the core hybrid Cloud enablement technologies, there is an ecosystem of essential tools that will enable a secure and robust Cloud computing experience for both Business and IT users. A reference architecture will help evaluate and make the best technology choices for your organization. Define metrics for your hybrid Cloud, including Business metrics and IT metrics. Define what hybrid Cloud computing success looks like for your organization, create a metrics framework and a dashboard to track progress. Do not be afraid of the data – use it to improve performance. Hybrid Clouds are here to stay. While “hybrid” IT has been around for years with managed services and co-location services, a hybrid Cloud is a special deployment that takes planning and effort. However, a hybrid Cloud offers great benefits to the organization that implements it properly, both from a technology standpoint, but also from a people (organization, skills), process (capabilities) and governance (policies, culture, behavior) perspective. Following the hybrid Cloud Bill of “Rights” will help you plan how to adopt this approach and avoid the potential pitfalls. For questions about this blog, or if you have general inquiries about our products and services, please contact Cloud Spectator at +1-617-300-0711 or contact@cloudspectator.com.